Located in Scalp Level Borough, Cambria County, PA. 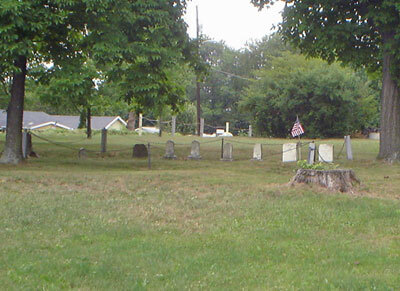 The cemetery is bounded by Luther Street, Phillips Street, and Somerset Street Extension. From Main Street in Scalp Level Borough, proceed across the bridge and under the railroad trestle into Paint Borough (Somerset County). At the stop sign, turn left onto Bedford Street. Go under the next railroad trestle and make the left turn onto Luther Street, going uphill. The top of Luther street extends back into Scalp Level Borough.